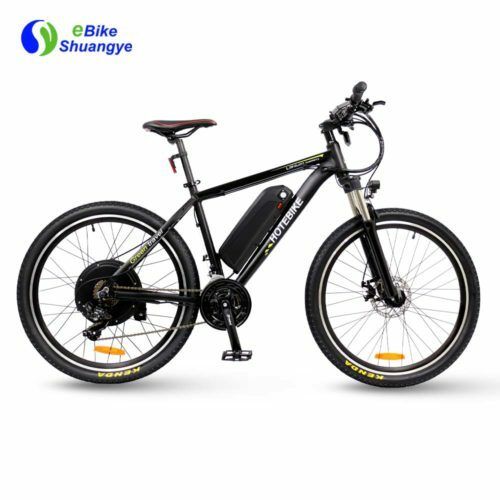 What is a “fat” e-bike? 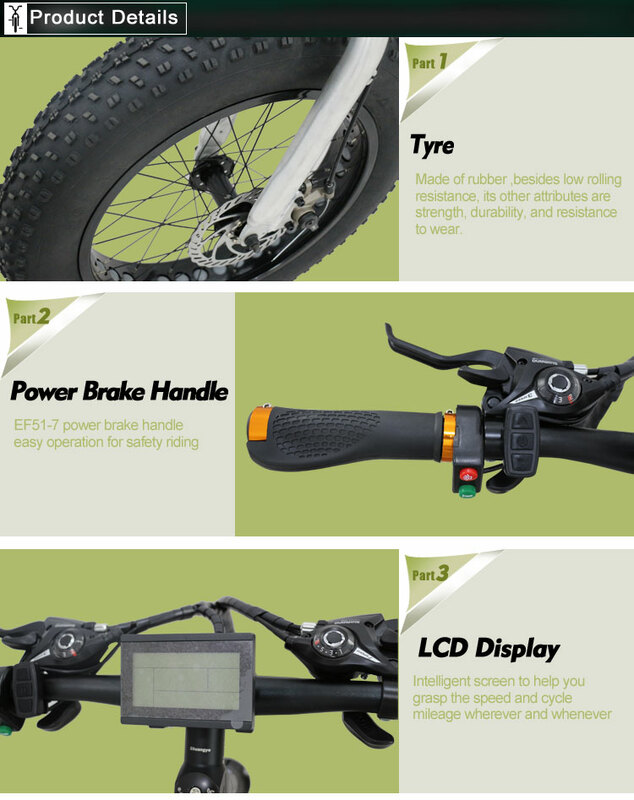 Well it’s basically the monster truck of the e-bike world! 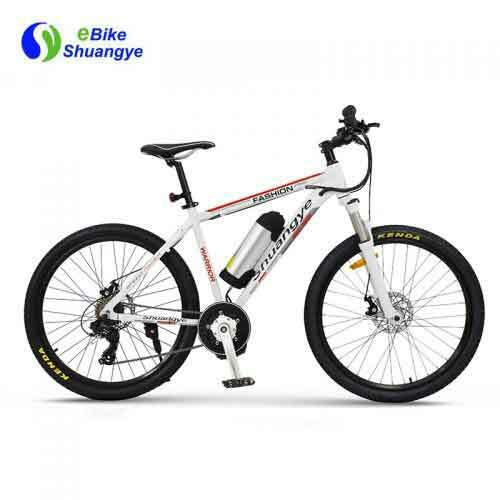 Because of the large volume of air these tires hold you can run the tire pressure extremely low and these tires will conform to almost anything you rollover. 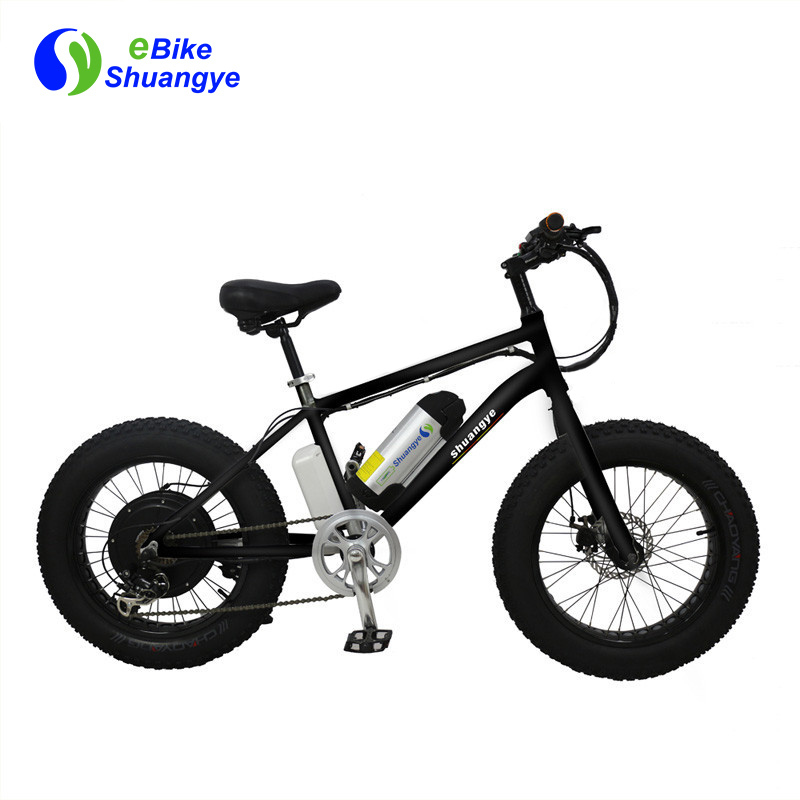 The fat tire bikes have been popular in the conventional bike world but adding electric assist really makes these bikes a lot of fun to ride! 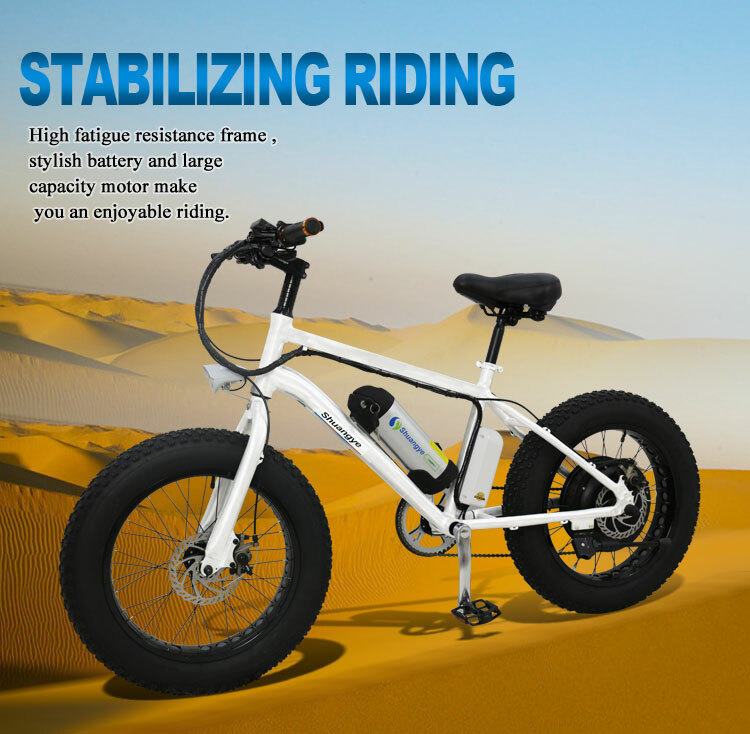 If you’re looking for a bike they can handle any kind of terrain and will get you a lot of looks around town then you should definitely check out the new “fat” e-bike! 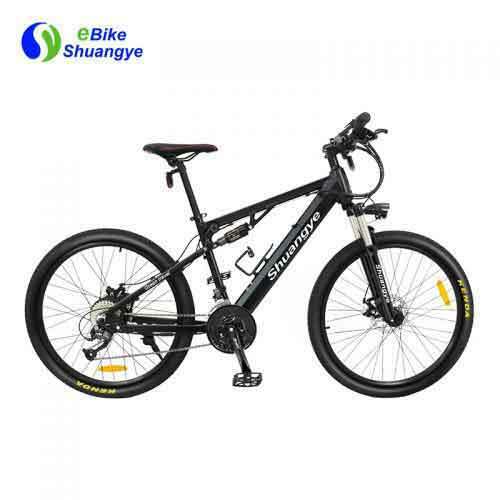 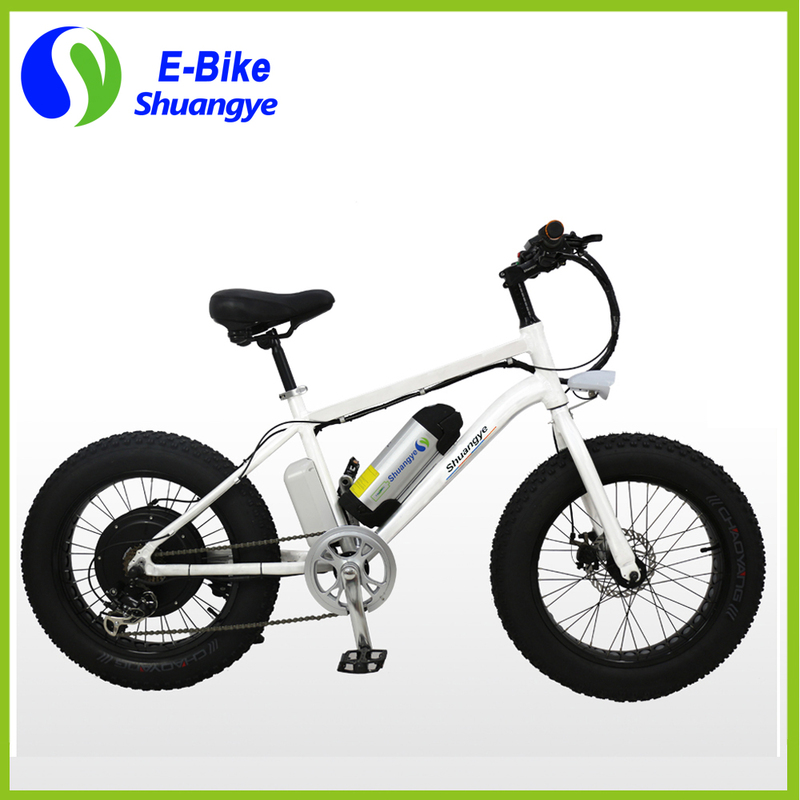 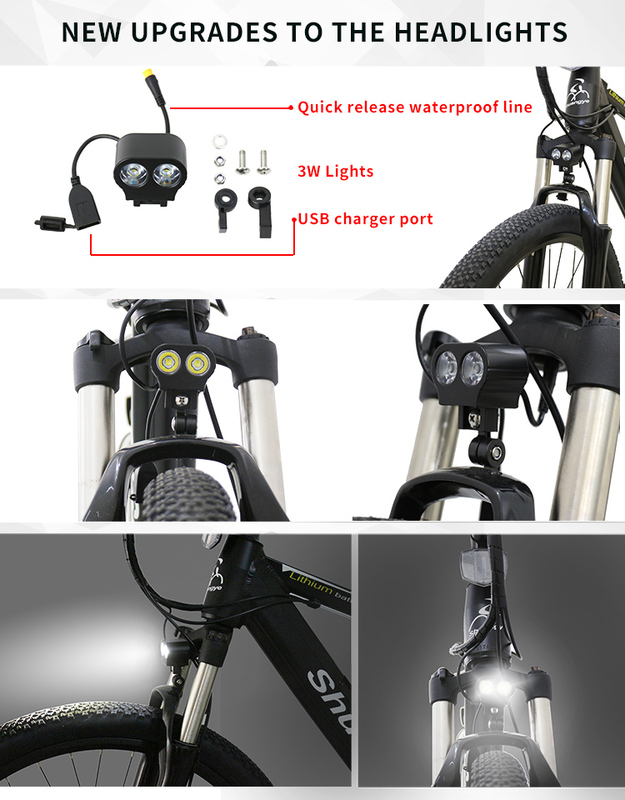 this model of fat tire e-bike Shuangye A7AB20 have an aluminum frame, 26*4.0 inch hidden battery ,and 36v10ah ebike battery and its max speed 30km/h.